Now is the time for your new bedroom set during Al’s Furniture’s Bedroom Bonanza! 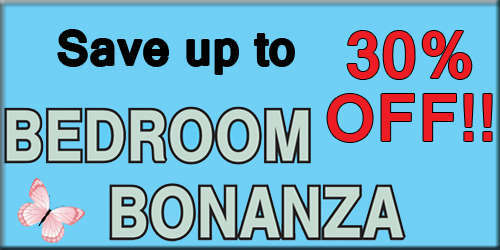 Featuring quality bedroom sets up to 30% OFF and Mattress sets up to 50% OFF!! There are different styles, colors, and sizes available to choose from. Take the time to drive way out McHenry Avenue to the Al’s Furniture Bedroom Bonanza and pick out your new bedroom and mattress set, and Save Big!! 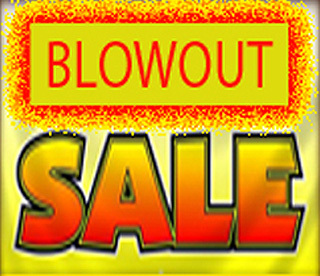 The Blowout Sale items listed below are limited to stock on hand and will sell quickly at these discounted prices. Call or stop by our furniture showroom today! The Live Edge bedroom collection from Artisan is made of solid maple here in the USA. This four piece bedroom set includes bed frame, dresser with mirror, chest of drawers and a nightstand. **Limited To Stock On Hand. *Not subject to prior sales. Gift Certificates are always a special gift as the person gets to choose the furniture they want. You Choose the amount we will gladly supply the preprinted gift certificate with envelope!